Have you guys ever seen those little squeezable yogurt, fruit things for toddlers? <<---That made sense, right? You know. Those things that your kids love, but they cost like $3 a pop!?? Not to mention the fact that you have no idea what kind of ingredients and preservatives are stuffed into those magic little squeezables!? Paisley loves those darn things. The majority of the times she's eaten them have been while we were in the grocery store and she was over the whole shopping thing. Yep, I opened it while shopping, she sucked it dry, and I paid for the empty package. Don't judge. A few weeks ago this company must have known about my issues with these overpriced magic containers and they asked if we would be interested in trying out their product and providing a review. I researched their website and read about their company and was very excited to give these a try! 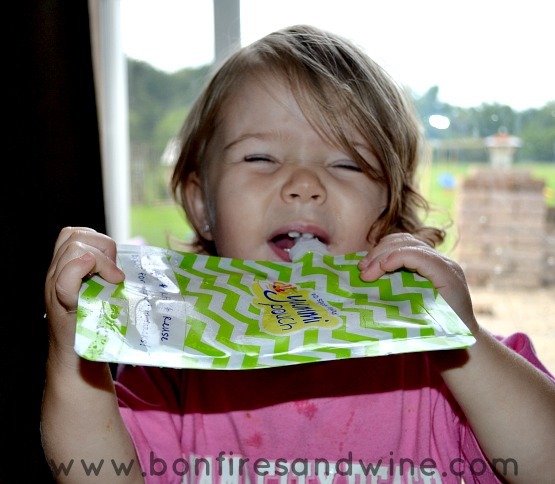 So they sent Paisley this four pack of YUMMI POUCHES. 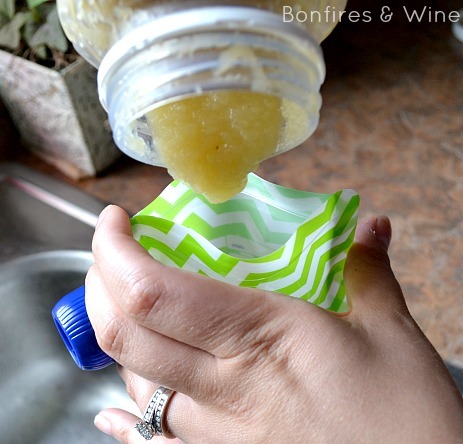 As soon as they arrived, we were excited to give them a try so I grabbed some apple sauce and filled up a pouch! Paisley was practically pulling my leg off as she watched me prepare this for her! She feels like such a big girl when she gets to do something all by herself! And, mama loves that I know exactly what's going into this little magic pouch! Ok, let's talk about the details. The number one thing that first attracted me to this product was that it's owned and operated by a husband and wife. I'm all about family business and we prefer to support this type of company any day! 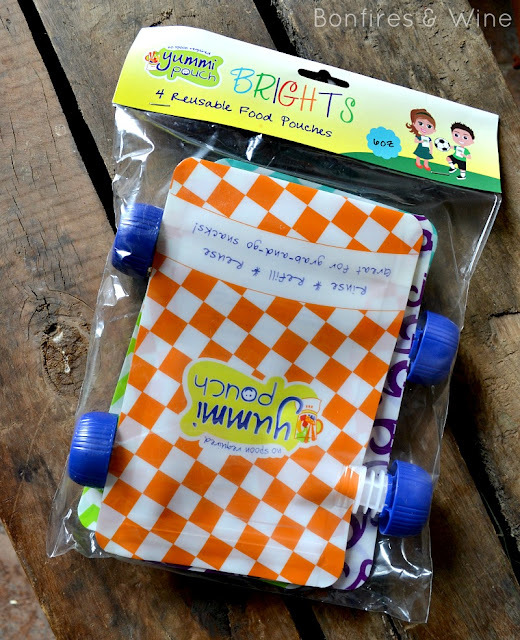 The next thing was that the pouches are reusable and dishwasher safe! Which means no more $3 a pop for those grocery store replicas! I really love the fact that you can put whatever you want in these pouches. We made Paisley's baby food from fresh products so I love that I can continue to provide her with treats she loves, food that I trust, and at a reasonable price! Remember our freezer smoothies? I'm thinking these would work great in here too! 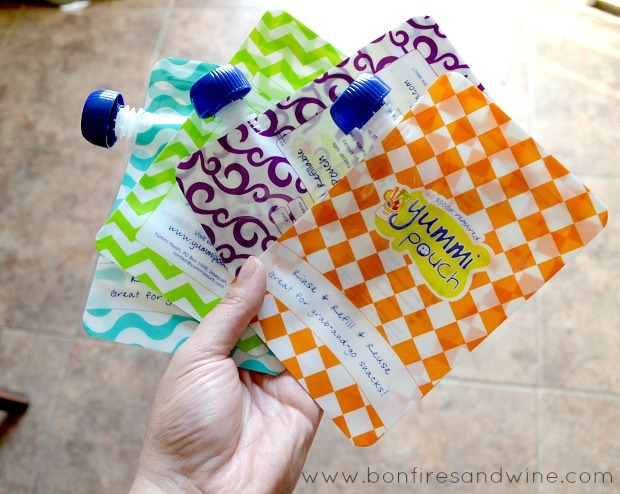 Especially since the pouches are freezer safe! And, this is what happens when I ask her to give me a smile! 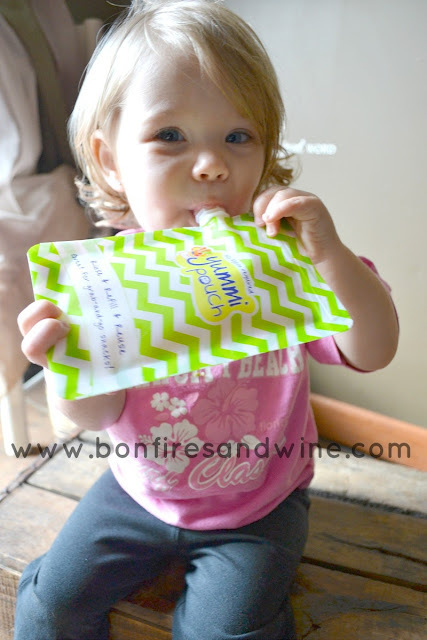 She was one happy girl and we've used the pouches several times! 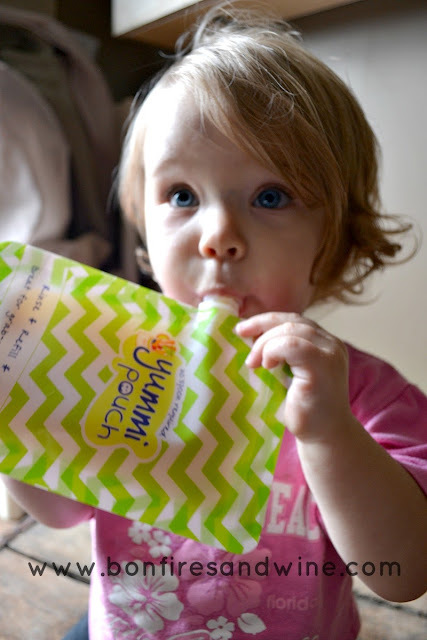 I'm really glad we decided to give these a try and I'm so thankful that Yummi Pouch asked us to review their wonderful product! PLUS....you can use coupon code Party4YP to get 10% off your order! Let us know if you try them out, too! Thanks for stopping by today! 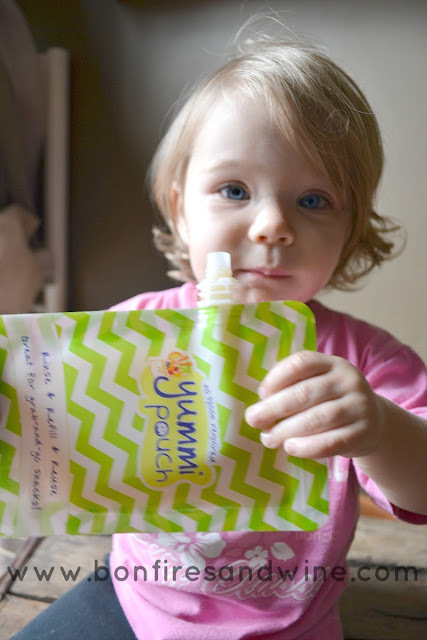 We're off to make some freezer smoothies in our new Yummi Pouches!